I’ve heard that some writers get writer’s block when they face a blank page. They don’t know how to start writing. They have no ideas. They get paralyzed. That’s because I understand that the page is never blank. Okay, I’m exaggerating a little. The page is blank, but only for a few seconds. Here’s what I mean. To find something to write about, I start by reading. I surf the Internet—news websites, blogs, Facebook—paddling around in an endless sea of stimuli, until an item provokes an emotional response in me. 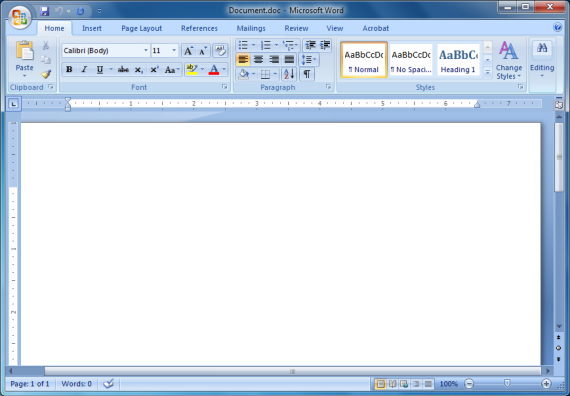 Then I copy the item, open a blank page in Word, and paste the item onto the page. Or I’ll type one or two sentences summarizing the item. Voila—no more blank page. Because an item grabs your interest, it will probably grab other people’s interest, too. That means it’s probably worth writing about. It’ll probably be easy to write about, too, because you care about it. Now that the page isn’t blank, all you have to do is develop the item into something more entertaining: ask “what if” about it, put a twist on it, build a story around it. Sure, you’ll have to do some hard work, but at least you got over your writer’s block. If you have trouble fleshing the item out, go back to reading until a new item jumps out at you. Then copy that item onto your page. So, again, the page is never blank. Did the news item provoke an emotional response? Sure it did. 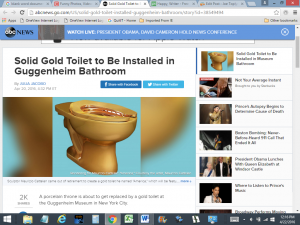 A solid gold toilet? Wait, what? 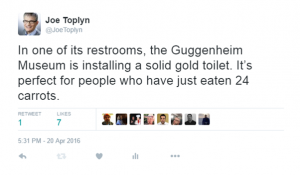 That’s weird, surprising, and kinda disgusting. 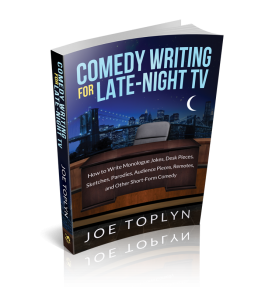 To learn more about what makes a good topic for comedy, get my book Comedy Writing for Late-Night TV.